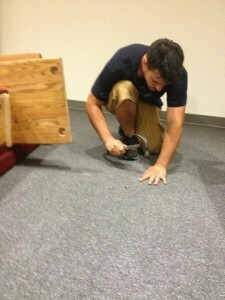 Sometimes people wonder why we still build all our church furniture by hand at Born Again Pews. 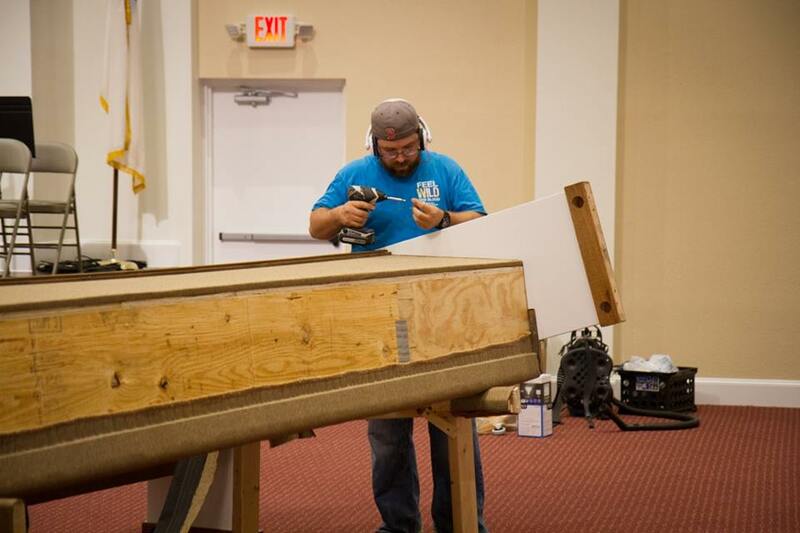 We know many people are surprised when the owner of the company comes out to deliver and install new church pews all around the country. Here’s our inspiration: Colossians 3: 23. “Whatsoever ye do, work heartily, as unto the Lord, and not unto men.” When you’re working for God, nothing but your best will do. That’s why we build the pews ourselves, by hand, instead of outsourcing the work to a factory overseas. When you buy church pews that have been built overseas — and much of the new furniture sold in America today has been built offshore — you’re using more resources to transport them to the U.S. You may also be supporting companies with working conditions and quality standards you wouldn’t be happy about if you knew. Born Again Pews are proudly 100% American made. 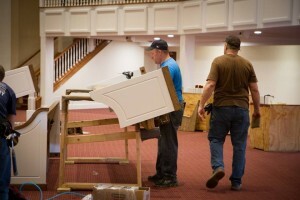 It’s our pleasure to build your new pews and to install them safely in your church where your congregation can use and enjoy them for generations to come. That point about safety and sturdiness is important. Installation of pews is sometimes left to… well, whoever is around at the time. But church pews aren’t quite the same as living room furniture, and installing church pews isn’t quite the same as carrying a new sofa into your home. 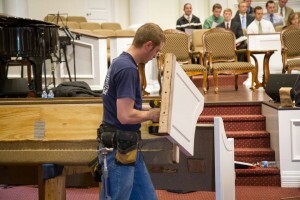 We do both the building and the installation of Born Again Church Pews, so you can be completely confident of the work. You’re welcome to watch the installation, and we will make sure that you are happy with our work. Ask for a free quote today, or call us to discuss your church’s needs.